Are you getting bitten by bed bugs? If you are noticing a pattern of bites that are showing up in patches every few days that are increasing in frequency and amount over several weeks you may have an infestation. Bite reactions vary and some people have zero reaction to being bitten. Bed bugs feed every 3-4 days so the bites will start out occurring every few days and are often a few bites in one area but increase in frequency and amount over time. If you are seeing this kind of pattern, have recently traveled, had guests and or purchased some used furniture or books you may have an infestation. 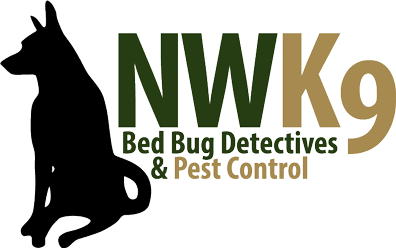 Bed bugs hide in the smallest places so if you cannot find evidence of an infestation yourself contact Northwest K9 Bed Bug Detectives to learn how a canine inspection can help you catch the infestation before it spreads saving you time and money.